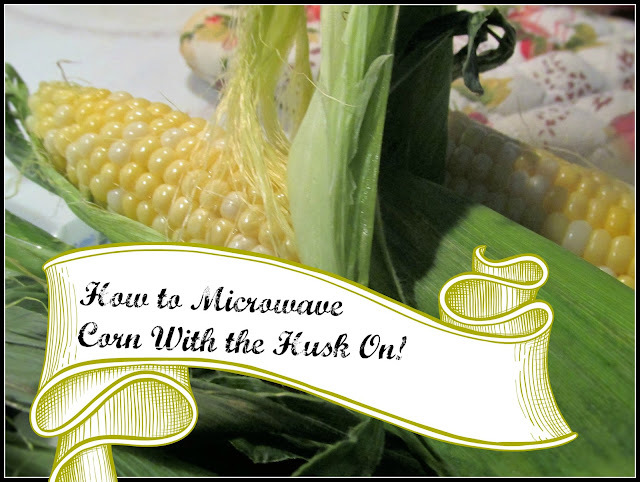 Vickie's Kitchen and Garden: How to Microwave Corn with the Husk On! How to Microwave Corn with the Husk On! It's been hot here folks. So hot I can't stand the thoughts of bringing any more excess heat in the kitchen by putting on another pot to boil. The corn is coming in though at the store and farmers market and we love to get it fresh while we can. 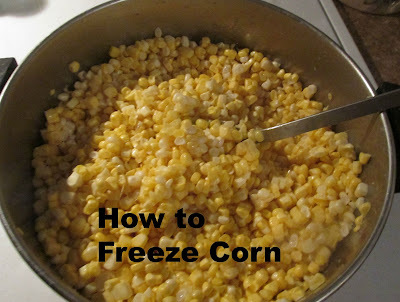 One of the ways I love to make fresh corn while it's in season is in the microwave. It's so easy and fast plus you get the added bonus of the silk coming right off the cob. Turns out sweet and hot! Be sure to use your pot holders on when it's done. Recipe for How to Microwave Corn with the Husk On! Microwave approximately two minutes per ear of corn- I had three so it took 6 minutes. Your done and you can peel the husk off. ***Comes out hot so be sure to use your potholders! Have a lot of corn? Try my way of freezing here. Taste so good in the winter!